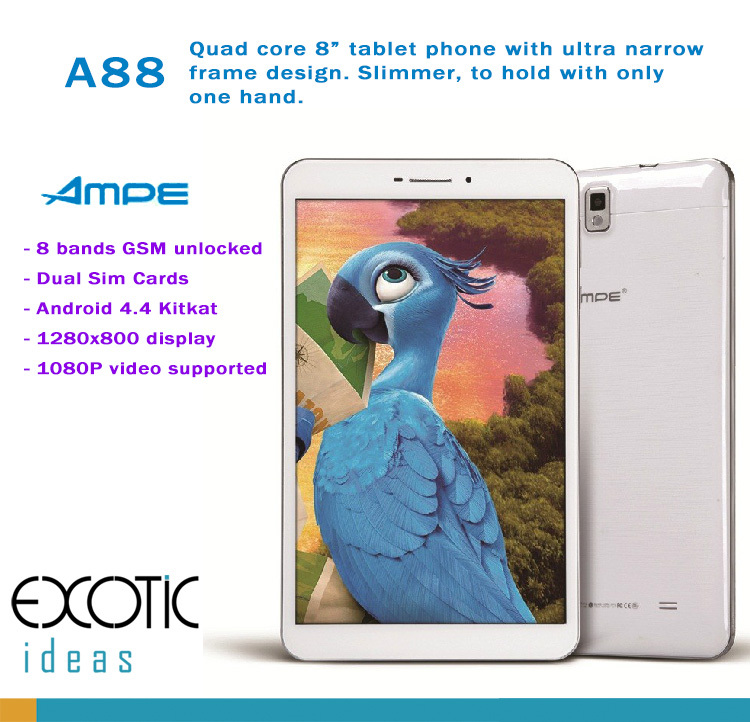 - A88 integrate with ultra-narrow frame design, subvert traditional heavier and thicker 8" tablets. 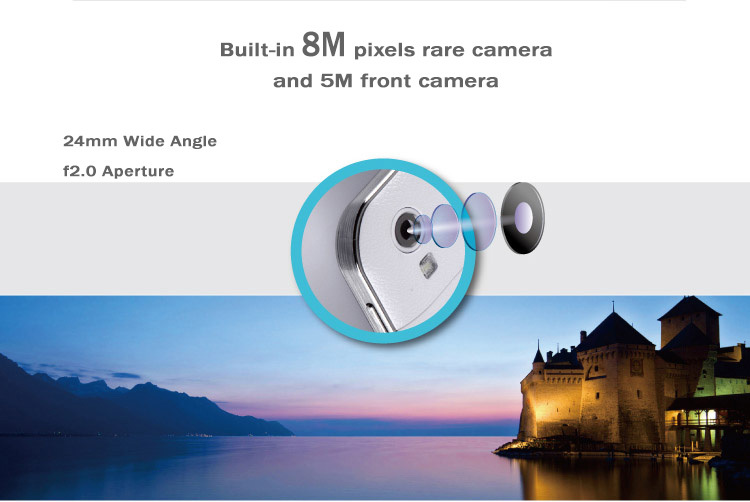 Lighter and slimmer, better visual effort and handy to carry around. 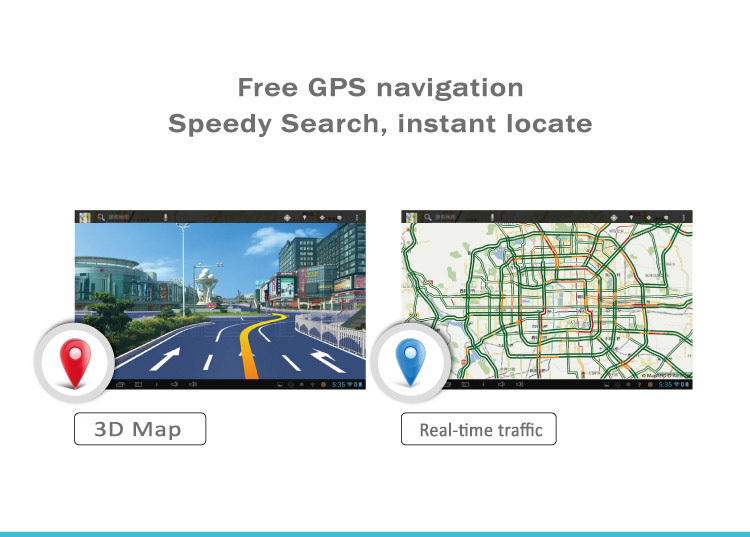 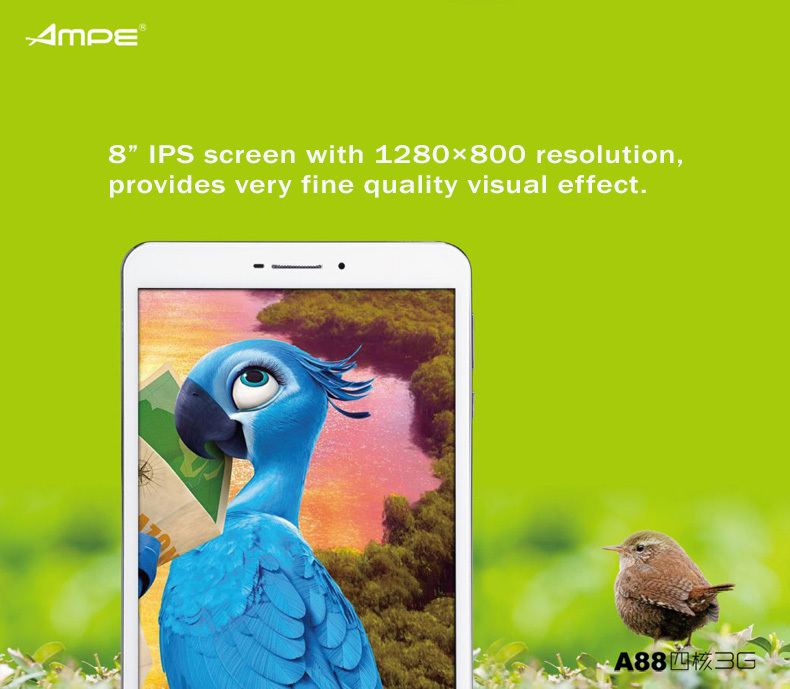 - 8” IPS screen with 1280×800 resolution, provides very HD fine quality visual effect. 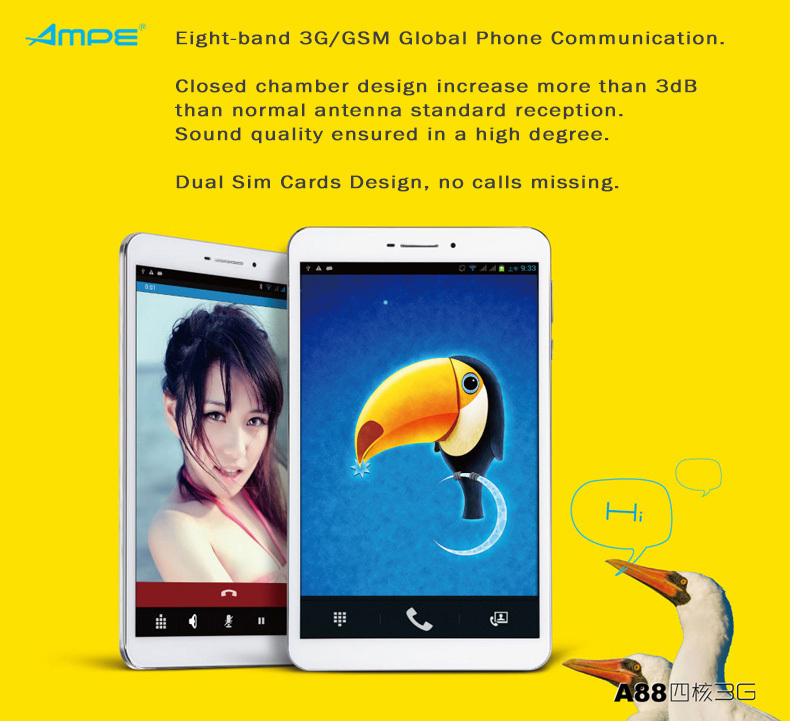 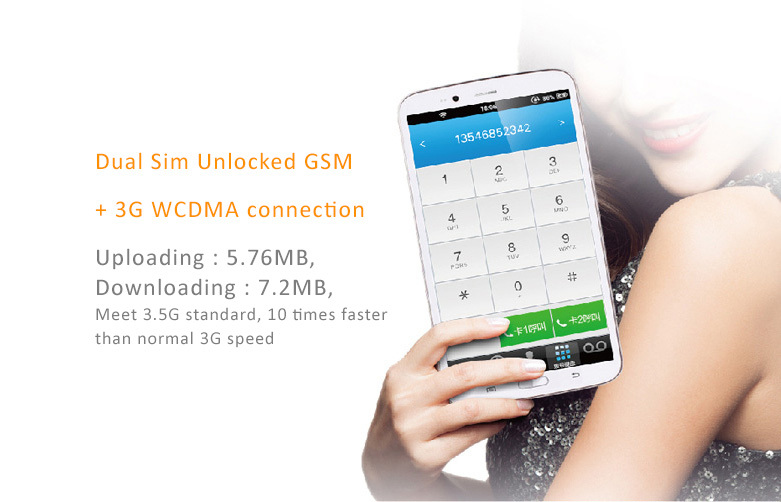 - 8 bands unlocked GSM, Dual Sim Cards features. 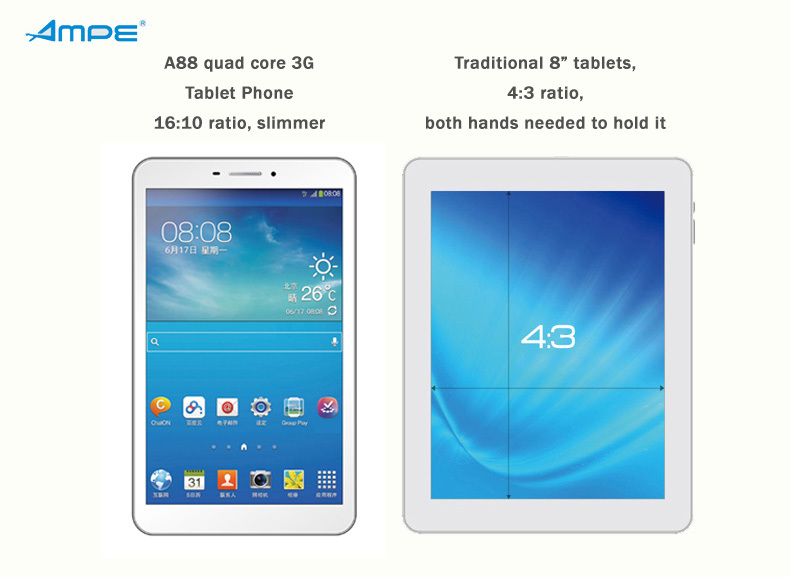 Perfect combination of tablet and phone. 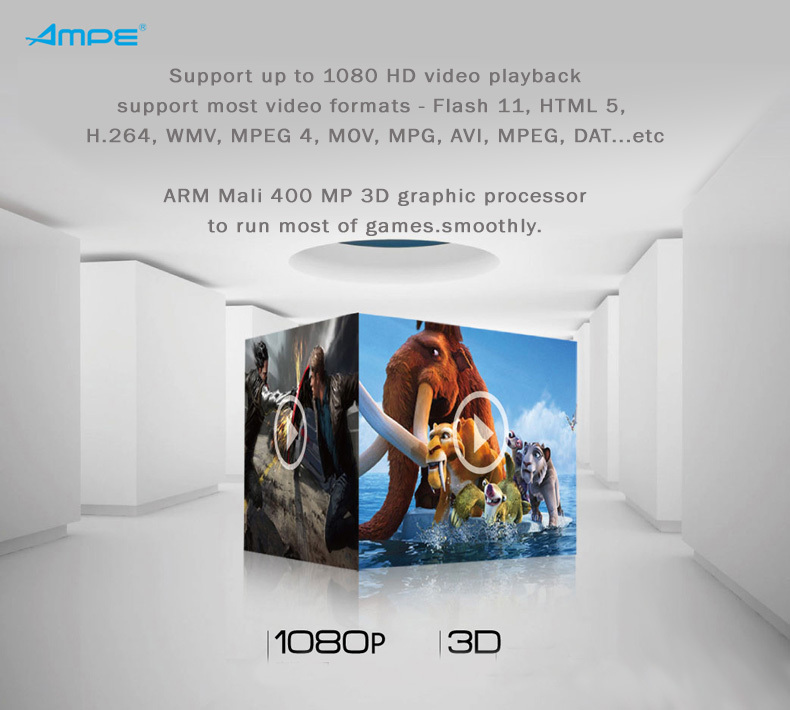 - Indenpendent ARM Mali 400 MP 3D graphic processor to run most of games.smoothly.